Baking can be hit or miss. Sometimes it seems like you have it and other times it seems you don't. While I know people who profess to be excellent bakers, there are others I know who have become well known for baking fails, like hockey puck cookies (ahem). If you're one of those folks, all hope is not lost. 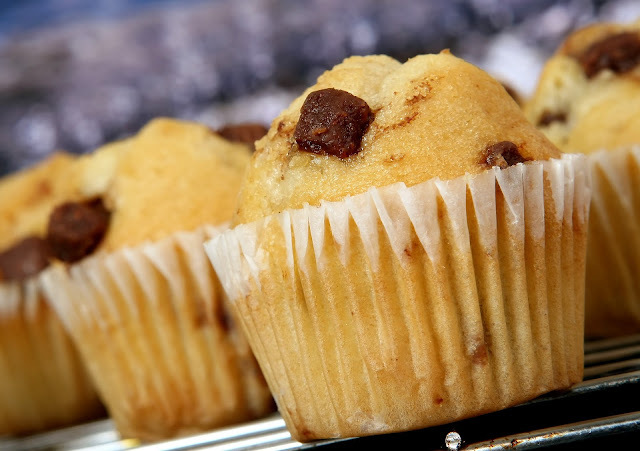 Here are 4 easy ways you can improve your baking skills and possibly shock your friends. 1. Read your recipe first. First, (before the first) get yourself a high rated (4 star and above) recipe. THEN read it all the way through once. This helps you to gain an understanding of exactly what you'll be doing, technique wise. There's nothing worse than skimming a recipe thinking you got this and you forget to cream the dairy first and just add it to the dry. Yes, that's a bad thing. 2. Get out all of your ingredients and tools before you begin. After you've read the steps of the recipe, get out what you need to make your recipe rock! It's all about staying focused and being prepared. 3. Give yourself enough time. You'll need enough time to prepare yourself. Don't go into the baking process thinking you can just throw a recipe together quickly. It may just taste like you did. 4. Don't wing it. Follow that recipe to a tee. Resist the temptation to digress from what's written. Do exactly what it says and don't stray. Once you've had a few batches come out wonderfully, then you can tweak a few things. These are just a few tips that help you improve your baking in a huge way, keeping you from being the brunt of hockey jokes.